If you’re considering joining the military, you’ll need to know about the Armed Services Vocational Aptitude Battery, or ASVAB. It’s often given to 11th graders, but anyone joining the military must pass it. It’s used to determine a person’s skills and aptitudes in a variety of subjects, and the results enable the military to place the person in the best possible slot for a person with that particular skill set. The ASVAB is a multiple choice test and is broken down into eight areas. Each section has its own score, and are combined to come up with your composite score. It’s scored on a percentile basis, so 99 is the highest possible score. Different branches of the military will have different minimum composite scores, and those will vary within each branch by different job. The higher you score, the more jobs and options you’ll qualify for. If you don’t take it in high school, you’ll take the test at your nearest Military Entrance Processing Station, or at an armory or recruiting station. It’s timed, and it takes about three and a half hours to complete. The sections are as follows: General Science-25 questions of life, earth, and physical sciences. Arithmetic Reasoning-30 questions involving basic math. Word Knowledge-35 questions on vocabulary and synonyms. Paragraph Comprehension-15 questions testing your reading and comprehension skills. Mathematics Knowledge-25 questions on math concepts and how to use them. Electronics Information-20 questions on basic electronic principles. Auto and Shop Information-25 questions about cars, both maintaining and repairing them, and working with wood and metal. Mechanical Comprehension-25 questions on the properties of different materials, and mechanical principles. Your score on the test will be a huge determining factor in what position you wind up taking in the military, and so its effects will be felt for your entire military career. You should attempt to do your very best on the test because a lot is riding on it. 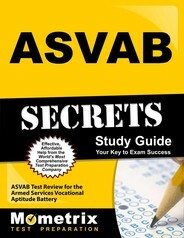 How to pass the ASVAB Test! Time: 3-hour, computer and paper exams are available. Number of questions: Both the Met and Student ASVAB have 200 multiple choice questions. The CAT-ASVAB has a total of 129 multiple choice questions. Cost: The ASVAB is free of charge. Scoring: The ASVAB is scored 1-99, half of the points are taken from the Verbal Expression score which is a combination of the Paragraph Comprehension and Word Knowledge parts of the test. The other half is made up of Arithmetic Reasoning and Mathematics Knowledge. Withdrawing: There is no withdrawal free, because the test is free. Language: the test is offered in English only. Scheduling Exam: once your application is reviewed and approved by a recruiter, you will be told your exam date. Retaking Exam: You may retake this exam. After you take the ASVAB for the first time, you have to wait another month to retake it. For your third time taking the ASVAB, you must wait six months before you can take it again. Your scores will expire after two years. On average, any score above a 36 is passing, but the likely hood of being accepted is greatly increased when you score above a 50. If you want to become an officer scoring up towards the 90s is imperative. The ASVAB is taken in two different forms, computerized and written. Even so they test the same information. The sections are as follows, General Science, Arithmetic Reasoning, Word Knowledge, Paragraph Comprehension, Mathematics Knowledge Electronics Information, Automotive and Shop Information, Mechanical Comprehension, Assembling Objects and a Verbal Expression score influenced by the Word Knowledge and Paragraph Comprehension sections of the test. Those looking to join the Navy also complete a Coding Speed test. The Verbal Expression (VE), part of the ASVAB, is not a section but a score taken from the Paragraph Comprehension and Word Knowledge parts of the test. The Verbal Expression score makes up half of the final grade. No, it is not required by law for students to take it but schools can make the test mandatory. It is required to enlist in any military branch. After you take the ASVAB for the first time, you have to wait another month to retake it. For your third time taking the ASVAB, you must wait six months before you can take it again. Your scores will expire after two years. The ASVAB is a military entrance exam, commonly given in high schools to determine the abilities of new recruits. The Coast Guard requires at minimum a 45, on the ASVAB to be even considered capable in such a high strain job. No, do not bring anything with you everything will be provided. Calculators are strictly prohibited. Yes, you can study for the ASVAB test and it is encouraged to do so, as the score directly impacts the extent of your military career. Is the ASVAB a multiple-choice test? Yes, the ASVAB is a multiple-choice test, with options provided for every question. No points are to be taken off for incorrect answers. What kinds of questions are on the ASVAB? The sections are as follows, General Science, Arithmetic Reasoning, Word Knowledge, Paragraph Comprehension, Mathematics Knowledge, Electronics Information, Automotive and Shop Information, Mechanical Comprehension, Assembling Objects and a Verbal Expression score influenced by the Word Knowledge and Paragraph Comprehension sections of the test. Those looking to join the Navy also complete a Coding Speed test. You have to wait one month to take the ASVAB a second time, but retaking a third time results in six months of waiting time. 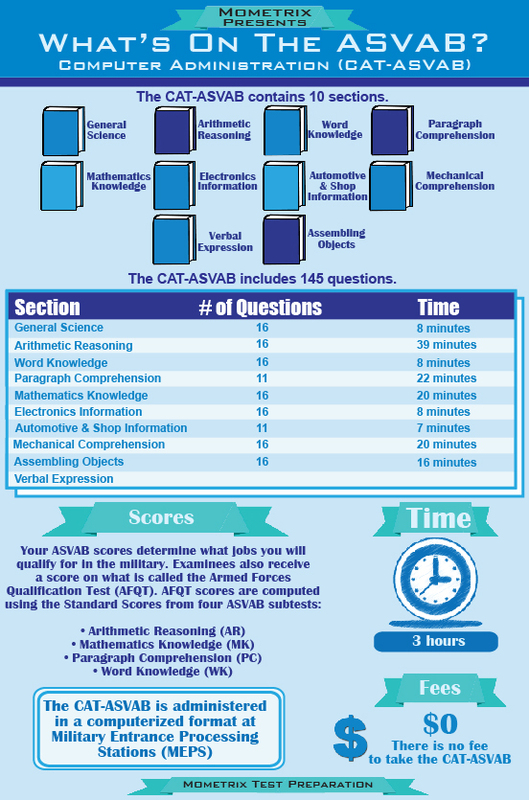 Yes, each section on the ASVAB is timed ranging from 40 minutes to 8. No, you do not have to take the ASVAB to be an officer, as different branches have different tests to determine candidacy. It takes about three hours to complete the ASVAB. The scores on the ASVAB are good for two years as long as you are not already in the military. As long as you are in the military your current scores do not have an expiration date. Yes, Commanding Officers and officers-in-charge can waive up to five points for two or more subtests for the ASVAB to allow someone to get into a school. They cannot waive scores up to the minimum requirement. For a first retake you have to wait one month for a second retake you have to wait six months. Ace the ASVAB test using our ASVAB exam study guide with practice questions. 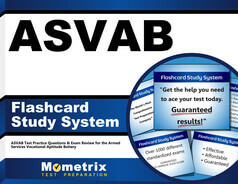 Quickly Solve Difficult ASVAB Test Questions with the ASVAB Flashcard Study System.